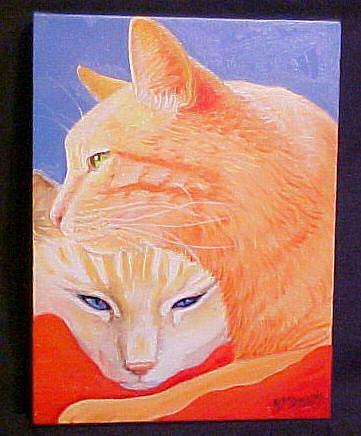 The two cats on the red blanket are feeling pleasure from the softness of the blanket. I think it is reminding them of their mother's soft fur. One of my cats does this on my robe whenever she finds it lying on the bed. Her expression is almost trance-like as if she's unaware of anything or anyone else in the room.